John Barrowman and his sister Carole have a history of teaming up to work on new stories for characters Barrowman has played in the past (including several stories about his Doctor Who/Torchwood hero Jack Harkness). 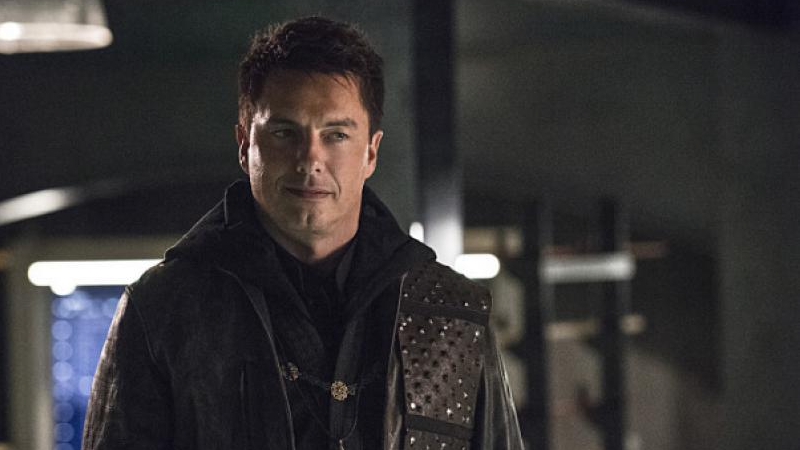 Now the duo are turning their talents to Barrowman’s charming Arrow villain, Malcolm Merlyn. Announced during an interview with TV Insider, Arrow: The Dark Archer is a digital comic series set between the third and fourth seasons of Arrow, following Merlyn as he flashes back—of course there’s flashbacks, it’s Arrow!—to how he became the mysterious Dark Archer that menaced Oliver Queen in his early days as the Arrow of a vaguely viridian hue. With art from Daniel Sampere, The Dark Archer is a digital-first comic for DC, with 12 chapters releasing bi-weekly through a host of digital comics retailers, as well as DC themselves through the DC app. Following the series’ conclusion, all 12 chapters will release in a single print collection. The Barrowman’s past forays into fiction together have been pretty decent, and both have experience in comic book storytelling as well, thanks to their work on the Torchwood comic in the past. Plus, let’s be honest, who doesn’t need more Malcolm Merlyn in their lives? Arrow: The Dark Archer begins next week, on January 13th.